Bar & Restaurant. 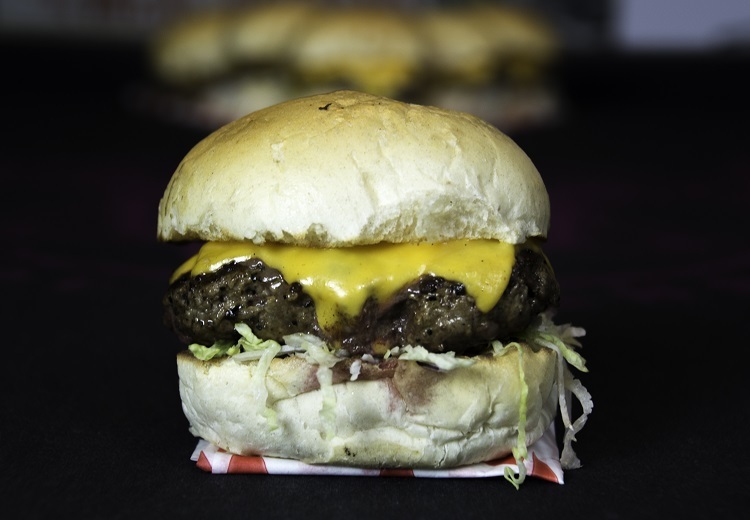 MEAT and liquor available all day. We’re located just behind Victoria’s Secret in the Trinity Centre, a short walk from Leeds train station. 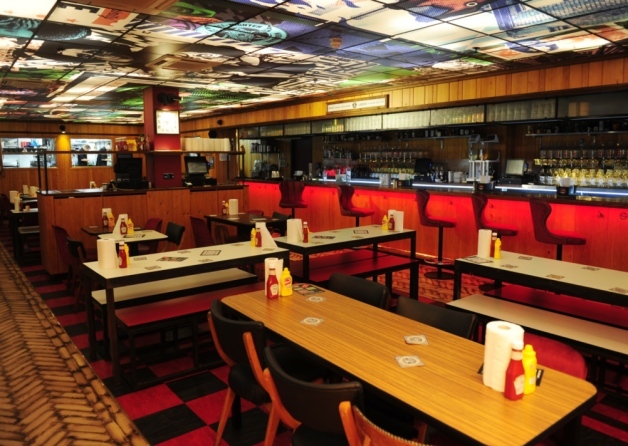 Full restaurant and bar, darts, pool, table football, arcade games and photo booth. 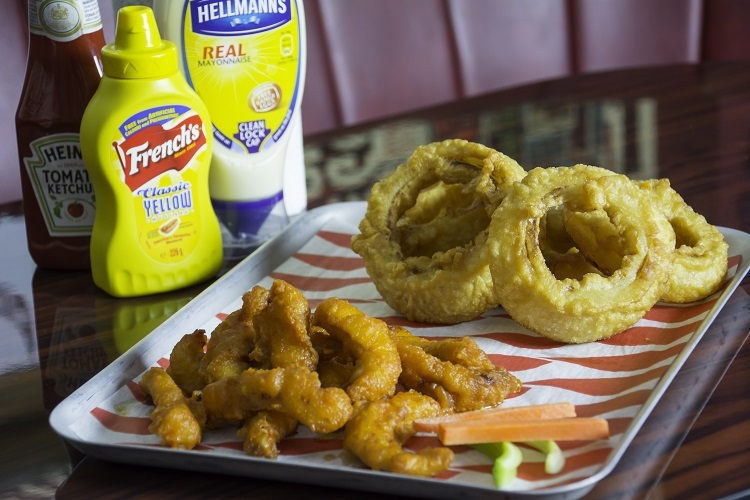 Ideal for lunch, get-togethers and parties. 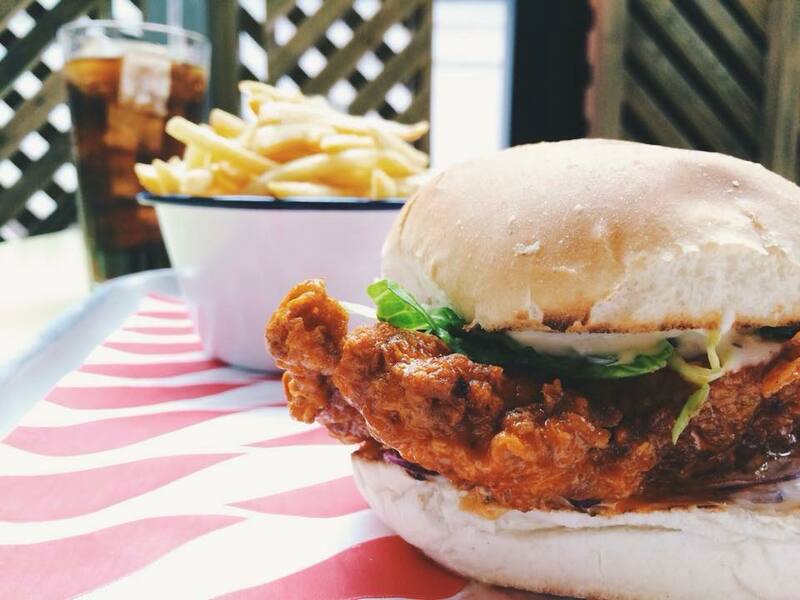 Our £10 lunch deal is available weekdays until 3pm. Celebrating something big? Parties are our business. Hit us up for group bookings, whatever the size. We’re also very dog friendly. Close to Trinity Centre, Victoria Gate, First Direct Arena, Lamberts Yard, The Tetley, White cloth gallery, Duke Studios, O2 academy, Belgrave Music Hall, Headrow House, Wharf Chambers, Leeds Art Gallery, Leeds City Museum & Canal Mills. We had a great time. Attentive service, fantastic food and the teenagers loved the dartboards! Will be back again soon! Came here as part of a stag do and it was fantastic. Food and drinks were excellent and the staff all friendly and helpful. Add in the arcade games upstairs and we had a place we'd have happily stayed all weekend! 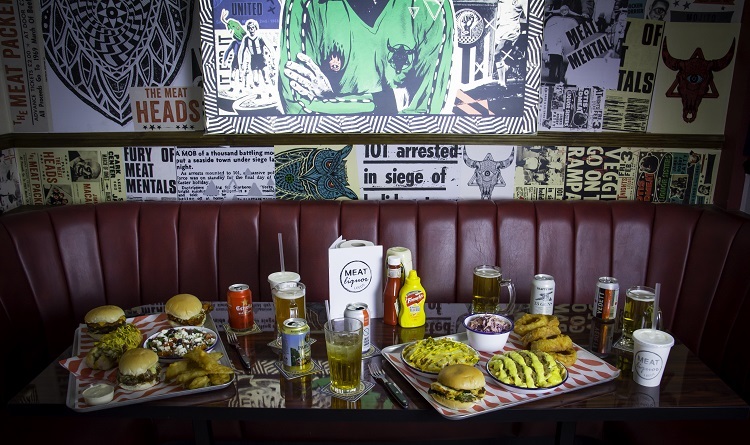 Enjoyable evening, we picked MEATliquor as it had a good selection for both Omni and Vegan. We booked our table online with it being Mother’s Day and never having visited before didn’t want to be disappointed. Upon arrival it was quiet and we were attended to quickly and politely. The food and drink did not disappoint and the portions were huge ! Very good value for money and the two hard shakes we tried were amazing. Staff were friendly and attentive. Food was great and the choice of fries was amazing , the Sriracha fries were a revelation. Thanks for taking time to review us Gareth. Its great to hear that we meet expectations when you come. We can't wait to have you back. Great food and a great price too. Will be coming back for sure! Hey Jamie, thanks for this great review. Glad to hear your first experience was a good one and that you will be returning. See you soon. Very good restaurant, good food and service, would definitely come back. Hi Dahnyaal, Thanks so much for this greatreview. Its great to hear that you enjoyed your food and the service. We hope too see you soon! Lovely staff and food would definitely recommend! Hey Nayaab, Thanks for taking your time to review us. We are so pleased your experience met expectations and we hope to see you soon. Really good service and food. Hi Bethany, Thanks for your lovely review. We hope to see you in the near future. Hey Andrew, Thanks for leaving this review. We are so pleased you had a great meal. We will pass this onto Scott. We hope to see you soon! We had a great time thanks. One order was wrong as we asked for one of the chicken burgers without sauce and when it came it had sauce on (the guy who ordered it is a bit weird so serves him right for being awkward). Hello, thanks so much for this great review, we take great pride in ensuring everyone has a great experience here. Apologies for the mix up with sauce but glad it was sorted efficiently. Hope to see you all back soon. Hey, we are so glad you think so! See you soon. Warm welcome from staff. Good service and the food was awesome. Hi, Thanks for taking the time to review us. We are very pleased you enjoyed your experience from start to finish. We hope to see you soon. Hey Cat, What a lovely review! Thank you so much. We're delighted to hear that you enjoy coming here. 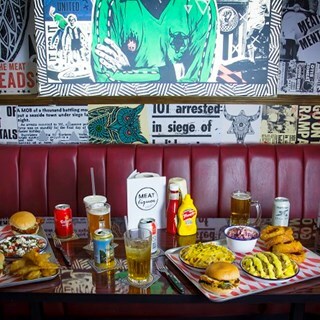 We hope your friends all come in and put their judgements to the test. Hope to see you soon. Waitresses were stood around talking rather than taking orders, when we did place our orders our cocktails never arrived and food came well before drinks, waitress forgot to get anyone to make the cocktails. ordered a buffalo chicken burger which was 90% sauce and mushy salad and 10% chicken, along with monkey fingers which were overcooked and covered in a sickly sweet spicy sauce. Atmosphere and design of the place was the only good thing, certainly wont be returning. Hi, thankyou for your honest feedback. Would you mind emailing me at [email protected] so we can discuss this further? Wonderful evening and food always good. Love the atmosphere and my friends who had never been where keen to go back. Thanks so much for this amazing review. Its great to hear that you and your friends had a nice time. We can't wait to have you all back. Staff are very helpful and friendly. Arrived late, due to getting lost, but staff were more than happy to help and still able to seat us. Hey Katie. Thanks for this lovely review. We understand we are a bit hidden. Glad the team we're happy to help you. Kind regards, team MEAT. Great place to eat, lovely staff and brilliant atmosphere. Thanks for your great review Sarah. We are thrilled you enjoy coming here and we hope to see you soon. Food was amazing and I will definitely be back however the toilets were absolutely rank. Hi James, thanks for your honest review. We are so happy to hear you enjoyed your meal and that you will be returning. Regarding the toilets, would you mind emailing us at [email protected] so we can discuss further. Cheers, Team MEAT. My boyfriend and I come here all the time because ITS SICK. literally, have never found anywhere that matches the amazing-ness of meat liquor Leeds. The service is always outstanding, we always leave eagar to plan our next visit. Green chilli cheeseburger and spicy fries...very very tasty and just the right amount of heat.